The headline screams, “Millennials Leaving the Church in Droves!” It’s enough to make a parent fear for their child’s faith. Is there anything we can do to turn the tide for our child? Any wisdom for helping our kids keep their faith? If you’re a Christian parent, no doubt you want your kids to follow Christ, too. The apostle John summed up this heart desire when he wrote, “I have no greater joy than to hear that my children are walking in the truth.” (3 John 1:4) When a child, teen, or young adult lives out their faith, there is simply no greater joy. But there is also no greater heartbreak than when a child leaves their faith. 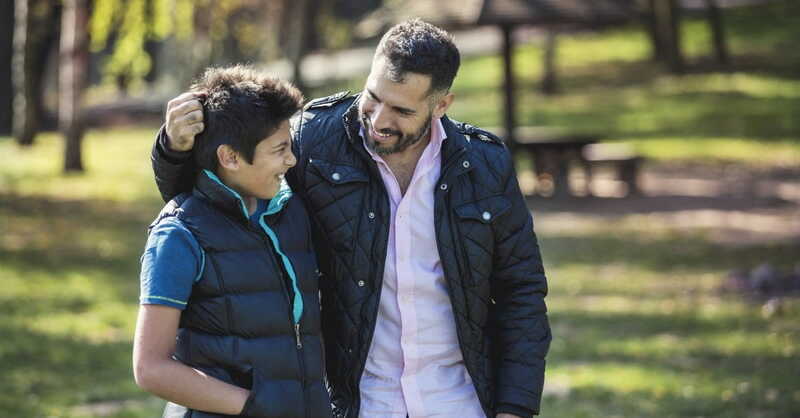 While parents can’t guarantee their children will keep their faith—their faith is their choice—there are some proactive steps parents can make to help. After more than two and half decades of parenting, here are 10 tips I’ve learned to help kids keep their faith. 1. Genuine faith is more caught than taught. When our kids see the authenticity of our faith, it bolsters theirs. And here’s the deal: You can’t fake authenticity—at least not with those who see you day in and day out. When our children see us humble ourselves before God, ask for forgiveness when we fail, follow Christ as we live our life, and feel our unconditional love, they are affected—even if, for a period, they seem to lose their way. Conversely, when a child is raised in a home (or church) where hypocrisy runs rampant, legalism prevails, spiritual apathy is the norm, or grace is absent, they are affected, too—but not in a way that motivates them to keep their faith as they move into adolescence or adulthood. This type of modeling drives more kids from their faith than any other single factor. Please don’t skip over this point. Your walk of faith is the most influential factor in your child’s walk of faith. It’s that important. 2. Take their questions seriously. Does your child have questions about God? Good. Don’t avoid questions, dismiss questions, or even embarrass your child for having questions. Affirm your child’s exploration of faith by providing age-appropriate answers. If your child’s question stumps you, help him find the answer. Questions—even challenging ones—are good for your child’s faith. When a child gets real answers, their faith is more likely to become real. 3. Deal with tough stuff head on. Answering a faith question is easy compared to dealing with the really tough stuff of life: questions about why people die young, why believers do ungodly things, or why your church split, for instance. And yet, it’s important—vital, even—to deal with difficult, hurtful, or confusing faith issues, head-on. You can help your child keep his faith by answering questions he or she might not ask, but probably wants to know. Several years ago, some of the church leaders where my husband served as Teaching Pastor made some unwise and ungodly decisions. Many people were hurt. My husband and I were devastated. Our son was in high school at the time, precisely the age when faith is either forged or forgotten. Aware of how the situation could adversely affect our son’s faith, my husband had several heart-to-heart talks with our son, answering his unspoken question: Why does stuff like this happen in the church? My husband explained how Christians can make decisions that don’t always honor Christ, and pointed our son to the importance of keeping his eyes and heart fixed on Jesus. I believe these proactive conversations helped our son’s faith remain unscathed, even with an up-close-and-personal view of Christian hypocrisy. 4. Make home the primary place your kids learn about God. Home is the primary place kids learn about God, intentionally or not. The beautiful thing is this: You don’t have to be a theologian to teach your child about God, just a loving parent who longs to have your child love God. God makes teaching faith simple: “Teach them (God’s laws) to your children, talking about them when you sit at home and when you walk along the road, when you lie down and when you get up.” (Deuteronomy 11:9). In other words, talk about God in everyday life. What does this look like? It’s easy! Teach your preschool child that God made the animals while you teach her that sheep say, “baa”. Read stories to your child from a children’s Bible (you’ll love this, too!). Talk about how God is our creator, our savior, our comforter, and our provider. With older kids and teens, share what God is teaching you (make sure you share instead of sermonize). Your kids will be encouraged to know God is working in your life, as he works in theirs. This will also make talking about God normal, not something weird you only talk about at church. If you want your kids to keep their faith, don’t make the mistake of passing along the responsibility of teaching them about God to someone else. 5. Make church a priority. First, when the importance of gathering with God’s people becomes replaced with the importance of sports, recreation, or something else, kids learn to worship those things rather than God. You’re effectively teaching your child, “We worship soccer (or baseball, or cheerleading, or…) most of all.” I’m not talking about occasionally missing church, but rather, consistently making choices where other things come first. You can’t make church a second-place priority, then scratch your head in confusion when your college-aged kid stops going to church. Second, when your child reaches the teen years, parental influence often takes a back seat, for a time. You need other godly people to speak into, and influence, your child’s life. Your child needs godly friends. Your child needs wise, loving, godly mentors. The best place to find what your child needs is church. If you want to keep your child’s faith strong, find a healthy, life-giving, Bible-teaching, Christ-centered church, and go on a regular basis. And make church days fun! You want your kids to have happy memories associated with God and God’s people. It’s a habit that will reap benefits for years to come. 6. Pray for your child and your child's faith. One of the most impactful things parents can do is pray for their child. We started the practice of praying out loud for our kids at bedtime when our children were infants, and continued through high school. We kept our prayers simple, positive, and encouraging (not corrective prayers like, “Help her be nice to her sister”). Over the years, we prayed for everything from, “help him have happy dreams” to, “help her find a godly friend, who will be fun, too.” In addition to praying for their immediate needs, like good dreams, good friends, and good grades, we prayed for their spiritual life, too. Pray for your child’s faith. Pray for his salvation. Pray for her walk with Christ. Pray he’ll be strong in his faith, and be an influencer for Christ. Pray she’ll be a Christ-like leader in her generation. Your prayers build your child’s faith, so pray! If you don’t, who will? 7. Know your child's culture and your child's friends. In previous generations, this one was easy. Not anymore. With the advent of the Internet, knowing who and what influences our child can be a mystery. This requires vigilance, which can be hard for parents who are often stretched to the point of exhaustion. Still, if you want your child to keep his faith, you must know what influences are affecting—or even hindering—his faith. How do you do this? Get to know your child’s friends well. Know their families. Monitor your child’s social media feeds and Internet use. Know what your child watches and listens to. Don’t assume anything. Don’t be afraid to say, “No, that stuff is not okay,” and be ready to explain why. Keep the lines of communication open so you can discuss how culture affects our faith. 8. Share your own faith story. This is an often overlooked, but tremendously powerful component of helping our kids keep their faith. Do your children know your faith story? Do they know how you came to believe? Who or what influenced you? What helped you grow? What obstacles you overcame? What regrets you hope they avoid? Do your children know your testimony? They should. Because your story is part of their story. When you share your faith journey, it makes faith personal. Concrete. Intimate. Real. Of course, you’ll want to keep your story age-appropriate. But still, don’t assume your children know about how your faith came to be. Tell them. 9. Teach your kids to respect you now, so they'll know how to respect God later. To a child, a parent is the ultimate authority. How they relate to you determines how they will relate to other authority figures—including God. When we lovingly teach our kids to respect us, and follow our instructions, we help them learn how to honor God, and follow His instructions. A child who is consistently allowed to rule the roost in his home will find it difficult to allow God to rule and reign in his heart. One word of caution: in your quest to teach respect, don’t use Scripture as a weapon. God’s Word is meant to be a lamp to our feet, not a two-by-four to whack over our heads. I’ve heard parents mistakenly use Bible verses to shame their kids to obey. Do everything in your power to make God’s Word something your kids love, not something they dread. Hold it out as the Word of Life—because it is. Your child’s faith journey might take a turn or two. Don’t panic. And do not take it personally. Though difficult to do, resist the urge to panic or make your child’s struggle personal, so you’ll have the clarity you need to respond wisely. If your child or teen doubts or loses his faith, let it drive you to your knees. Pray like your child’s life depends on it. But don’t stop there. Love like your child’s life depends on it. While it may not look like it in the moment, when your child’s faith falters, your faith has the opportunity to grow. You have the opportunity to be more Christ-like than you’ve ever been, because you are required to show love in ways you never have. What love looks like will depend on the needs of your child. But as you seek wisdom, hold on to this: Above all, love. Then let God write your child’s story, even as He writes your own. Donna Jones is the mom of three young adult, Jesus-loving kids, who frequently sit on her kitchen counter just to chat. She and her pastor-hubby, JP, planted Crossline Church in Laguna Hills, CA in 2005. Donna is a national speaker who’s shared God’s Word with folks in 20 states and on four continents, and is the author of three books, including Seek: A Woman’s Guide to Meeting God. Connect with Donna at www.donnajones.org, on twitter @donnajonesspeak, or on Instagram @donnaajones.